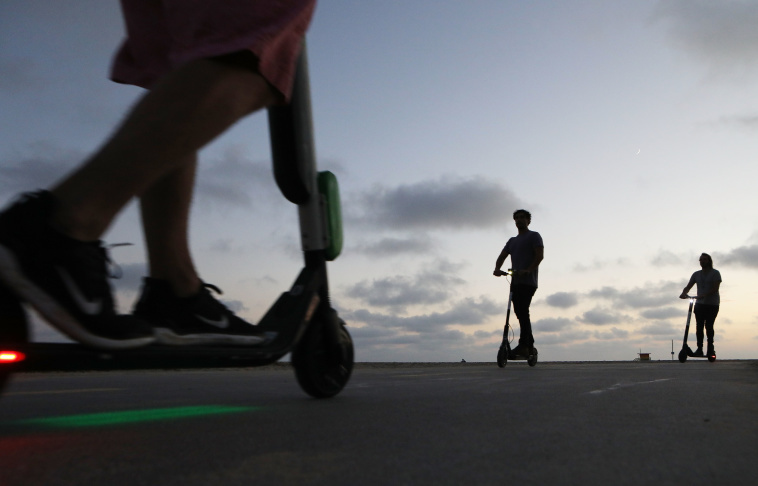 Just over a week after CNN reported that the Centers for Disease Control and Prevention is investigating electric scooter-related injuries, a man was struck and killed after falling off a privately owned e-scooter in Santa Monica. According to the Santa Monica Police Department, officers received a call at 8:30 p.m. on March 15 to the 2700 block of 3rd Street—near 3rd and Hill—where a 41-year-old man was hit by a car after tumbling from the scooter and into the road. It's not clear how he fell, how badly he was injured in the fall or how long he was in the road before being hit. The man succumbed to his injuries later at a nearby hospital. The victim's name hasn't been released yet. The driver of the car allegedly stopped and got out of his vehicle after hitting the man, then got back in and drove off. Despite the vehicles' ubiquity, riders in L.A. continue to rack up injuries. A study released in January looked at medical records from two UCLA hospitals and found that over the course of one year, 249 people showed up at their emergency rooms with e-scooter related injuries. The CDC investigation is focusing on Austin for now, where they are reportedly examining medical records from a two-month period. Texas has seen at least one scooter-related death, and, like many cities and states around the country, a spike in scooter-related injuries. Correction: The headline on an earlier version of this story was incomplete and incorrect. It has been updated to accurately reflect the crime that allegedly took place. LAist regrets the error. Correction: A previous version of this story stated that this was the second death involving a scooter. In fact, the first death involved a mini bike, which was initially reported to police as a scooter. The incorrect information has been removed. LAist regrets the error.